Born Francesco Forgione in 1887, he was given the name Pio when he joined the Capuchins, and was popularly known as Padre Pio after his ordination to the priesthood. He became famous for his stigmata. On 16 June 2002, he was canonized by Pope John Paul II. Born in Pietrelcina, a farming town in the southern Italian region of Campania. His parents made a living as peasant farmers. He was baptized in the nearby Santa Anna Chapel, which stands upon the walls of a castle. He later served as an altar boy in this same chapel. His siblings were an older brother, Michele, and three younger sisters, Felicita, Pellegrina, and Grazia (who was later to become a Bridgettine nun). He worked on the land up to the age of 10, looking after the small flock of sheep the family owned. Pietrelcina was a highly religious town (feast days of saints were celebrated throughout the year), and religion had a profound influence on the Forgione family. Although his parents and grandparents were illiterate, they memorized the Scriptures and narrated Bible stories to their children. As a youth Pio experienced heavenly visions and ecstasies. In 1897, after he had completed three years at the public school, Francesco was drawn to the life of a friar after listening to a young Capuchin who was, at that time, seeking donations in the countryside. When he expressed his desire to his parents, they made a trip to Morcone, a community 13 miles (21 km) north of Pietrelcina, to find out if their son was eligible to enter the Capuchin Order. The monks there informed them that they were interested in accepting Francesco into their community, but he needed more education. He underwent private tutoring and passed the stipulated academic requirements. On 6 January 1903, at the age of 15, he entered the novitiate of the Capuchin Friars at Morcone where, on 22 January, he took the Franciscan habit and the name of Fra (Brother) Pio in honor of Pope St Pius V, the patron saint of Pietrelcina. He took the simple vows of poverty, chastity and obedience. In 1910, Pio was ordained a priest at the Cathedral of Benevento. 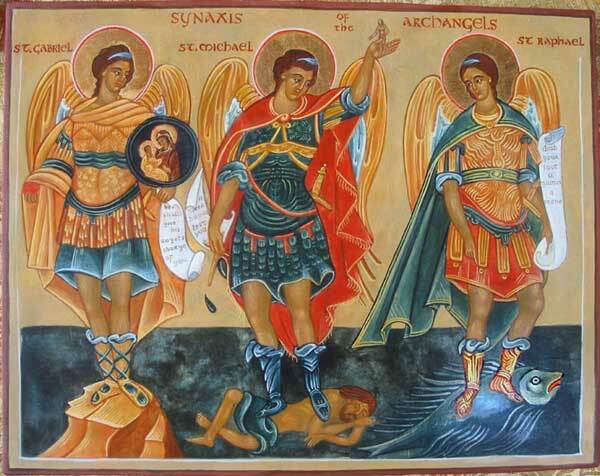 Four days later, he offered his first Mass at the parish church of Our Lady of the Angels. His health being precarious, he was permitted to remain with his family until early 1916 while still retaining the Capuchin habit. A strong believer in Christian meditation, Padre Pio stated: “Through the study of books one seeks God; by meditation one finds him.” During World War I, in August 1917, Padre Pio was called into to military service. Although not in good health, he was assigned to the 4th Platoon of the 100th Company of the Italian Medical Corps. Although hospitalized by mid-October, he was not discharged until March 1918, whereupon he returned to San Giovanni Rotondo. Padre Pio then became a spiritual director, and proposed five rules for spiritual growth, namely, weekly confession, daily Communion, spiritual reading, meditation, and examination of conscience. Padre Pio stated that he believed the love of God is inseparable from suffering and that suffering all things for the sake of God is the way for the soul to reach God. On the morning of the 20th of last month, in the choir, after I had celebrated Mass I yielded to a drowsiness similar to a sweet sleep. […] I saw before me a mysterious person similar to the one I had seen on the evening of 5 August. The only difference was that his hands and feet and side were dripping blood. This sight terrified me and what I felt at that moment is indescribable. I thought I should have died if the Lord had not intervened and strengthened my heart which was about to burst out of my chest. The vision disappeared and I became aware that my hands, feet and side were dripping blood. Imagine the agony I experienced and continue to experience almost every day. The heart wound bleeds continually, especially from Thursday evening until Saturday. Dear Father, I am dying of pain because of the wounds and the resulting embarrassment I feel deep in my soul. I am afraid I shall bleed to death if the Lord does not hear my heartfelt supplication to relieve me of this condition. Will Jesus, who is so good, grant me this grace? Will he at least free me from the embarrassment caused by these outward signs? I will raise my voice and will not stop imploring him until in his mercy he takes away, not the wound or the pain, which is impossible since I wish to be inebriated with pain, but these outward signs which cause me such embarrassment and unbearable humiliation. In 1940, Padre Pio began plans to open a hospital in San Giovanni Rotondo, to be named the Casa Sollievo della Sofferenza or “Home to Relieve Suffering”; the hospital opened in 1956. In order that Padre Pio might directly supervise this project, Pope Pius XII, in 1957 granted him dispensation from his vow of poverty. Padre Pio’s detractors used this project as another weapon to attack him, charging him with misappropriation of funds. Padre Pio was subject to numerous investigations. In the period from 1924 to 1931 the Holy See made various statements denying that the happenings in the life of Padre Pio were due to any divine cause. At one point, he was prevented from publicly performing his priestly duties, such as hearing confessions and saying Mass. By 1933, the tide began to turn, with Pope Pius XI ordering the Holy See to reverse its ban on Padre Pio’s public celebration of Mass. The Pope said, “I have not been badly disposed toward Padre Pio, but I have been badly informed.” In 1934, he was again allowed to hear confessions. He was also given honorary permission to preach despite never having taken the exam for the preaching licence. Pope Pius XII encouraged devotees to visit Padre Pio. And Pope Paul VI firmly dismissed all accusations against Padre Pio. 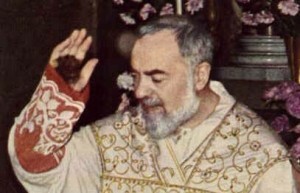 The deterioration of Padre Pio’s health started during the 1960s in spite of which he continued his spiritual works. On 23 September 1968, Padre Pio passed into eternity.